The august and esteemed personality of the Islamic world, the heir of the knowledge of Imam Ahmad Rida Khan, Tajush Shari’ah, Shaykh al-Islam Shaykh Mufti Muhammad Akhtar Rida Khan al-Qadri al-Azhari arrived in Syria on Friday the 22nd of August 2008. Syria being the centre of the supplications from the Beloved Messenger, has been, is still, and shall still remain a place where the anwaar and barakaat continuously emanate from. 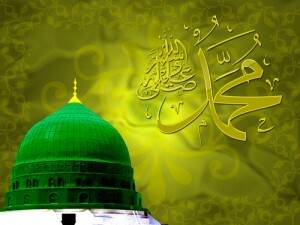 “Ash-hadu an la ilaaha il lal lahu Anna Muhammad ur Rasulallah; Ya Rabbe habli Ummati”. 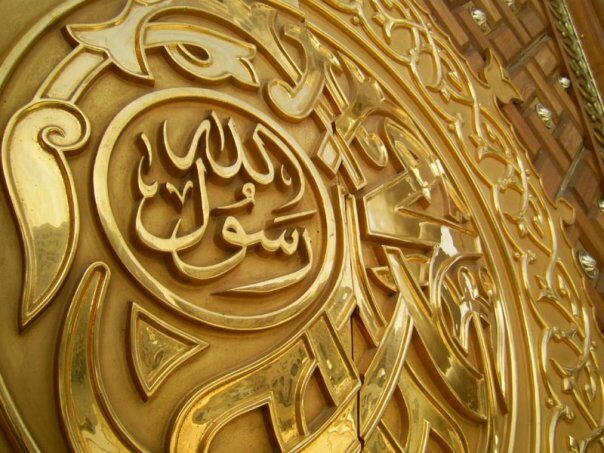 The spiritual and temporal head of the Muslims is Huzoor e Poor Noor Sayyadul Aalameen Hazrat Muhammad Mustapha Salla Allahu ta’ala’alayhi wa sallam . Spiritually He is the fountainhead from whom all channels of guidance and inner inspiration flow to all directions. Although all the prominent Companions (Radi Allahu anhum) of Sayyadinah Hazrat Muhammad Mustapha Salla Allahu ta’ala’alayhi wa sallam continued to provide outer and inner guidance to the Muslim people, wherever they happened to be after the departure of Rasoolullah Salla Allahu ta’ala’alayhi wa sallam from this world, the main source of spiritual inspiration and training were the first Caliph, Hazrat Abu Bakr as-Siddiq (Radi Allahu anhu) , and the the fourth Caliph Hazrat Ali al-Murtuzaa (Radi Allahu anhu) , who has been described in a Hadith as the gateway to the “City of Knowledge”, the City being Sayyidinah Huzoor e Akram Salla Allahu ta’ala’alayhi wa sallam Himself. Knowledge (Ilm) has been identified with inner esoteric knowledge. 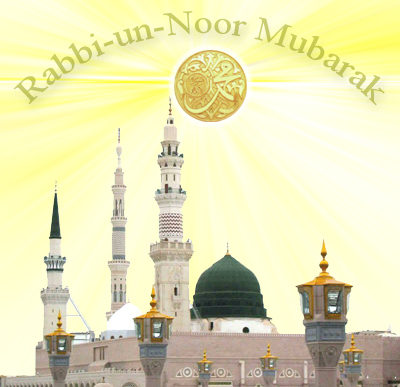 Hazrat Abu Bakr as-Siddiq (Radi Allahu anhu) was succeded by Hazrat Sulaiman Farsi (Radi Allahu anhu) as a Caliph and the Silsilah Naqshbandiya traces its origin to Hazrat Abu Bakr as-Siddiq (Radi Allahu anhu) through Hazrat Sulaiman Farsi (Radi Allahu anhu) . 1. Sayyidinah Hazrat Imam Hasan (Radi Allahu anhu) . 2. Sayyidinah Hazrat Imam Hussein (Radi Allahu anhu) . 3. Hazrat Ibn Ziyad (Radi Allahu anhu) . 4. Hazrat Imam Hasan of Basra (Radi Allahu anhu) . were succeeded by their sons and the sons of of their sons, all known as Aima-Ahl-Bait (Radi Allahu anhum) , who continued to guide the Muslims throughout centuries. 1. Hazrat Abdul Wahid bin Zaid (Radi Allahu anhu) . 2. Hazrat Habib Ajami ( Habib the Persian) (Radi Allahu anhu) . Hazrat Habib Ajami (Radi Allahu anhu) the second Persian after Hazrat Sulaiman Farsi (Radi Allahu anhu) , carried the torch of the spiritual light of Sufism to his homeland, Iran, and many Arab and non-Arab Shayukh (plural of Shaikh) received training from him. 1. Silsila Zaidia: It is named after Khaja Zaid bin Abdul Wahid radi allhu anhu , the Khalipha of Hazrat Hasan radi allhu anhu of Basra. Shaikh Zaid radi allhu anhu received another robe (khirqa) of khalafat from Shaikh Kumal bin Ziyad radi allhu anhu as well. Five of the descendants of Hazrat Abdullah bin Auf radi allhu anhu , famous companion of Rasoolullah Salla Allahu ta’ala’alayhi wa sallam , also joined this Sisila.